Nepal is a country that most people dream of visiting once in their lives. It was a place high on my bucket list! For years, images of the Himalayas hung about my walls. These images were so ingrained in my psyche that it seemed like a distant memory from a past life. 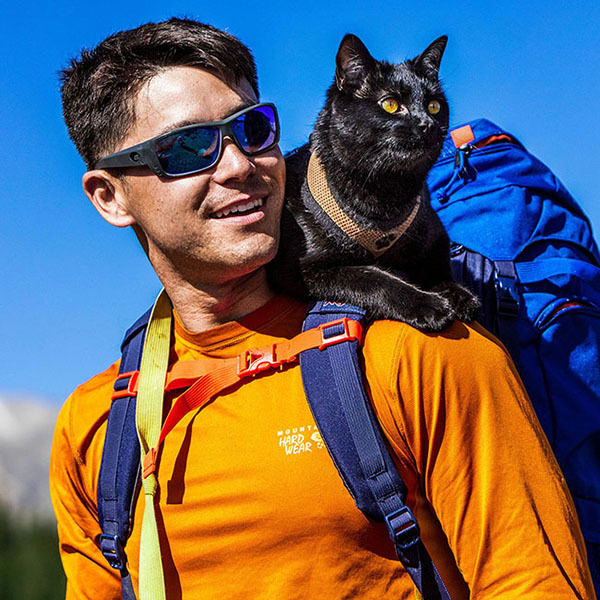 A couple months ago a good friend and social media influencer, Lauren Monitz, offered to bring me along as a guest if I could help her win a trip to Nepal through a contest Sherpa Adventure Gear was hosting. I jumped on the opportunity and began promoting the contest like wild via my social media channels. After days of promotion, I popped online to see what the results were. We had won! What had we been the prize? An all-expenses-paid trip to Nepal to trek the majestic Himalaya Mountains. WOW! The trip sounded too good to be true. Honestly, I didn’t even believe it was happening until we finally had our plane tickets in hand. In mid-October of last year, Lauren and I embarked on our long journey. We boarded our plane in Colorado, made a couple layovers, and landed in Kathmandu over 30 hours later. We still weren’t done flying! We transferred onto a rickety plane to Lukla, a small village nestled in the Himalayas. All this to get to our starting point. The plan was to backpack north – From Lukla to Phakding to Namche to Khumjung to Thame and back south. It might not seem far (13 miles straight on google maps) but remember this is ever-changing terrain and increasing elevation. As soon as we hit the road, we entered a whole new world. There were dzos (yak/cow hybrid) and Nepalese mule traffic jams, ancient bridges, and tourists trekking from all around the globe. It was a bizarre sight at first, adapting to this new style of trekking as we pushed on. Our first destination was Phakding – a quaint homestead along the beautiful Dudh Kosi River. Our hosts greeted us with a collection of teas – milk tea, jasmine tea, mint tea, ginger tea, lemon honey tea. There was a plethora of teas before us! After a moment to mull, I chose ginger tea. Instantly it became my new obsession! After warming ourselves up with tea, we settled in for the night and mentally prepared ourselves for the days ahead. Something I noticed on my trip – there are teahouses all along the roads! I learned rather quickly how important tea is to the Himalayan culture. In this region of the world, the weather changes on the fly, and sometimes the temperature can drop abruptly! You soon learn to find comfort in filling up with some hot tea as a pleasant reward for your travels. Not to mention, they provide food and lodging to incoming tourists such as Lauren and myself. On day two, we were off to journey farther north to Namche Bazarr, a famous outpost for tourists to stock up on modern commodities. On the way, we witnessed our first glimpse of Mount Everest. It is one thing to see photographs of it on your computer or phone, it’s another to have the mountain towering off in the distance. It is a spectacle like no other! We made our way into Namche shortly thereafter. It is out of a fairytale book! You see a town literally etched on the side of a mountain. Each street is a step higher in the hillside. I was amazed at the dzos and chickens roaming around carefree, the merchants strewn all along the streets selling their wares. After exploring the town, I found a spot not too far away with a great view to call home for the night. You can imagine what I did next – I prepared another cup of ginger tea. By day three, I had developed a rhythm on some of the tallest mountain ranges in the world. Wake up to a beautiful sunrise, brew some ginger tea, eat breakfast, pack up, and journey on the trail. Each day the elevation increased, the weather temperature decreased, and my excitement soared higher! Onward into day four. We climbed towards one of the peaks that looked over all of the Khumde Valley. The guide who accompanied me promised epic views of Everest, Lhotse, Ama Dablam, and other twenty thousand foot peaks. I kept trekking ahead with undying excitement. When we reached the saddle and the clouds cleared away, revealing massive peaks in the distance. I cannot reiterate, no matter how many pictures and videos of Everest I’ve seen, it pales in comparison to the real thing. I was already at an elevation of over 14,000 feet, with a several thousand foot drop below me. In the distance were towering mountains twice as big. My mind still cannot comprehend this. I felt this was a time to celebrate the view. You guessed it —tea time. I quickly set up my stove and brewed my trail staple, ginger tea. In the backdrop, you could see the giant Himalayan peaks erupting above the clouds. I felt elated to be so high up and so close to my childhood dream of climbing these colossal mountain beasts. What I love about climbing mountains are the unrivaled views which make it a snap to find the best seat in the house. Once the tea was ready, I found the perfect rock chair to cement my experience and gently warmed my body. This tea was an elixir for my body, soothing it from all the trekking done so far. I now understand why the Nepalese drink so much tea. I must have spent hours on that rocky platform, soaking in the high mountain view. It was literally the “high point” of my trip. The rest of the journey was downhill from here. We gradually made our way back to the village of Lukla, where we’d reverse course from Kathmandu and then back home. While I left the country of Nepal behind, I would never forget my tea time in the Himalayas.